Gender is more than biological differences between men and women, boys and girls. Gender defines what it means to be a man or woman, boy or girl in a given society, and refers to the social differences between men and women that are learned, and though deeply-rooted in every culture, changeable over time, and have wide variations within and between cultures. “Gender” along with class, race, and other social factors, determines the roles, power and resources for women, men, boys and girls in any culture, as individuals have different access to economic, social and political opportunities, and what status they hold within economic, social and political institutions. helps to ground the project in a good understanding of the local context, existing vulnerabilities, and capacities. helps to ensure project activities are relevant to both men and women in different social settings. helps practitioners and communities understand why and how gender groups can play different roles in managing marine resources, can be vulnerable to changes in marine resource use in different ways, and how this can change over time. helps to ensure decision-making power is more equally distributed between different social groups. There is growing evidence that integrating gender into conservation projects can increase the benefits of conservation for all people and nature. It is important to look for opportunities, not only to empower vulnerable groups, but to provide a space to share knowledge, perceptions, and experiences, and to avoid exacerbating existing inequalities. As with any development or conservation intervention, unless efforts are made to deliberately engage women as well as men, there is a tendency for women to be left out of consultation, planning and management, which can in turn amplify existing gender inequalities. Efforts to improve the management of blue carbon ecosystems such as mangroves, are no different. For example, there is evidence that women depend upon mangroves more than any other user group, ref and are particularly dependent on the services they provide, such as firewood and near-shore fisheries, to support their livelihoods. While it is critical that women are engaged and empowered to participate in planning processes and make decisions about the management of their mangroves, this is often not the case. In order for processes to be truly participatory and to facilitate inputs equally from both women and men, there are several potential barriers to women’s participation that need to be addressed; these can include lower rates of literacy in women in some countries, increased difficulty with travel to attend participatory workshops (e.g. from a safety or cost perspective) or potential clashes between the timing of such events and duties for which women typically bear a greater proportion of the household responsibility (e.g. in relation to childcare, elder care, etc.). Moreover, once blue carbon projects are operational and generating funding through the carbon market, there is also a risk that the distribution of these benefits will be inequitable, including access to decision-making opportunities about how these funds are allocated, as well as access to the funds themselves. This phenomenon has been reported in relation to REDD+, ref and can be expected in the blue carbon context as well. In 2017, a Blue Carbon Code of Conduct was developed. The Code of Conduct describes behaviors that can help to ensure inclusive and equitable access and benefit sharing irrespective of gender, ethnicity, ability, age, language, religion, socioeconomic status or nationality. The Code of Conduct is a voluntary commitment however, and more work is needed to increase awareness of the risks of failing to ensure blue carbon projects are gender-responsive and adequately consider the different needs, strengths and perspectives of men and women, and vulnerable groups. 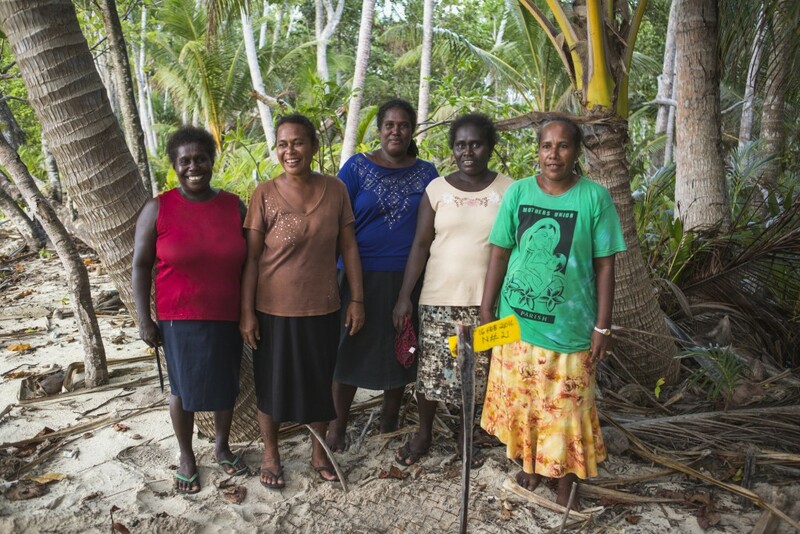 The Nature Conservancy has been working with local women across Papua New Guinea to sustainably manage their mangroves and improve their incomes and livelihoods. 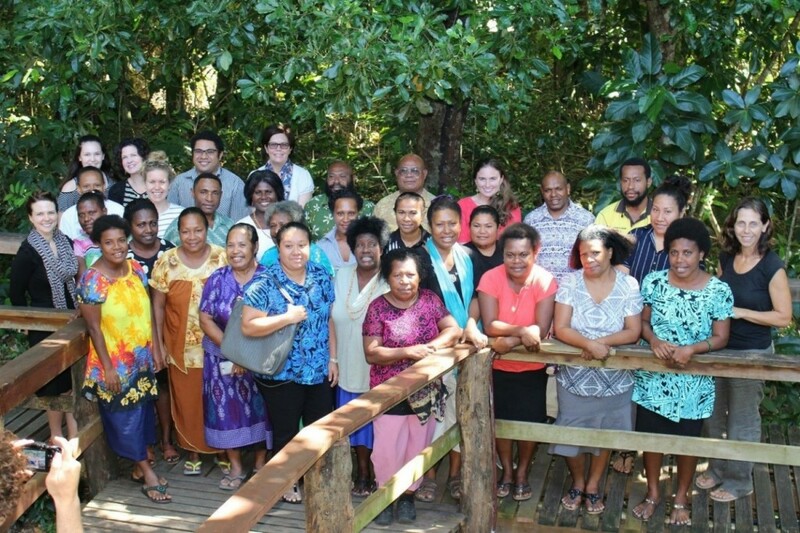 In late 2017, TNC convened a workshop of community women, government representatives and mangrove experts to improve mangrove management across PNG. The community women were provided with training in financial literacy, small business management, branding and marketing to support turning their goals for sustainable mangrove management into a mechanism to generate income, for themselves and their communities. The women developed a business plan, Mangoro Market Meri (Mangrove Market Women) with short, medium and long-term goals, based on local markets for coastal fisheries, ecotourism and blue carbon.